* And for other vehicle types, please ask for quotation. Please note that you are making a reservation for the number of people who will be riding in the vehicle and the vehicle itself. 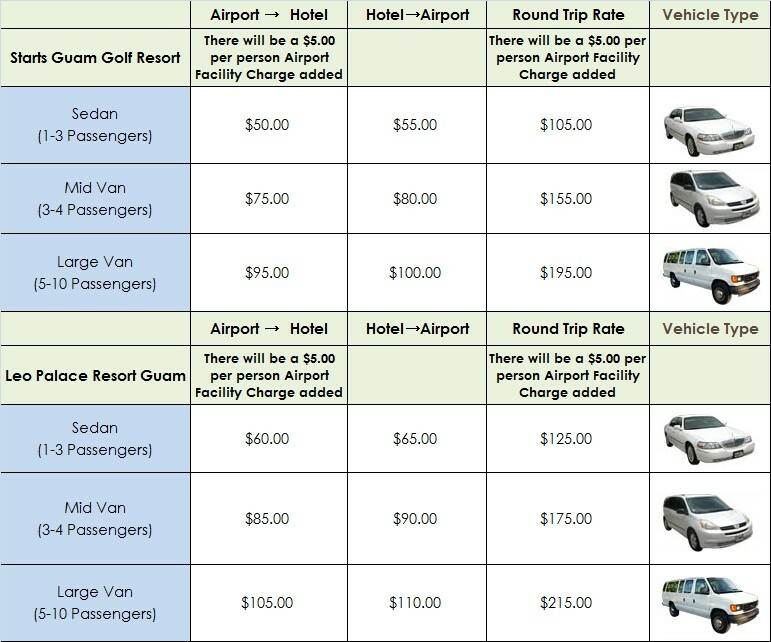 At times The Guam Airport Shuttle may use a larger vehicle for the transfer with the same rate of the smaller vehicle ordered. 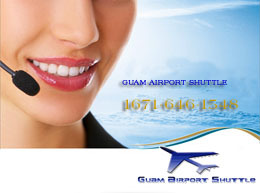 Payments accepted are: Cash, Credit Cards (Visa, Master,), and Travelers Check in US Dollar. Rate are based on the fact that you will be carrying only upto 3 large baggage for the sedan, 5 large baggage for the mini van, and upto 10 large baggage for large van. You may book for hotels that are not on the list. Prices may vary depending on the destination.